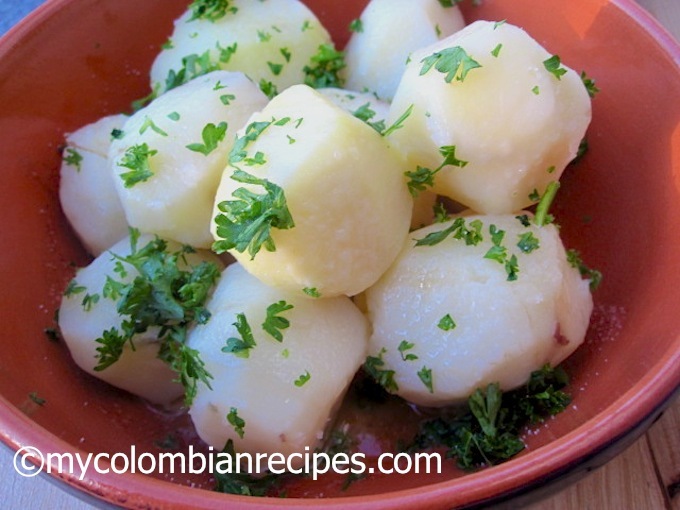 Papas al Perejil is a very simple and a popular side dish in Colombian homes and restaurants. My mom makes this dish at least once every other week to go with her roasted chicken (pollo asado), stuffed meatloaf (albóndigon), or even her roasted pork (cañon de cerdo). They were a staple at our house growing up, for sure, and I never tired of them. 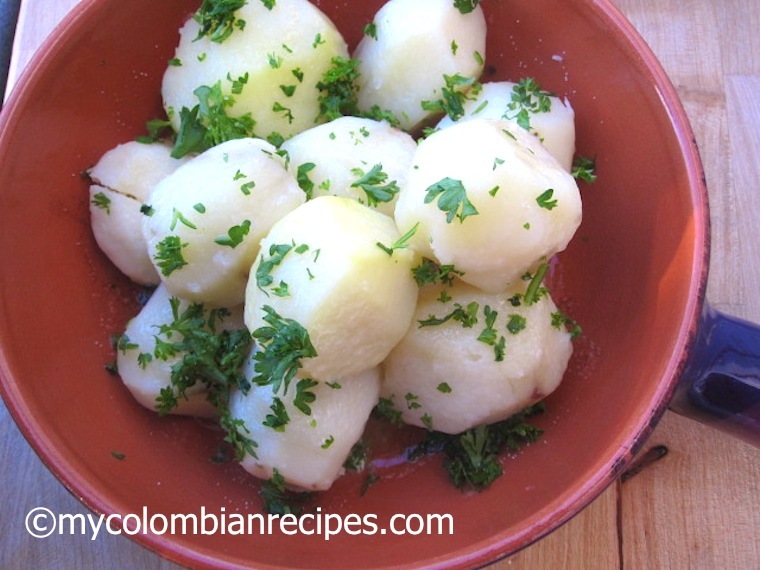 If you are Colombian, I am sure many of you have had this dish growing up, perhaps you are still preparing it at home. 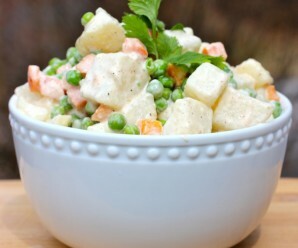 Papas con Perejil is one of those simple dishes that reminds me of my mom’s cooking. Set a steamer over medium heat and bring the water to a boil. 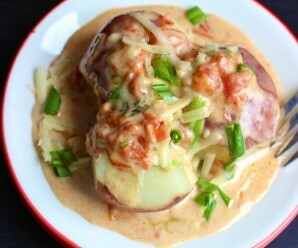 Place the potatoes in the steamer, cover and steam until the potatoes are tender, but firm, about 20 minutes. If you don’t have a steamer, boil the potatoes for about 7 minutes. 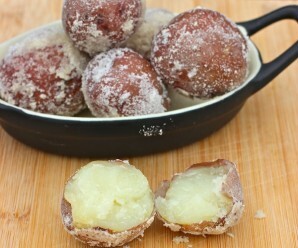 Transfer the potatoes to a bowl. 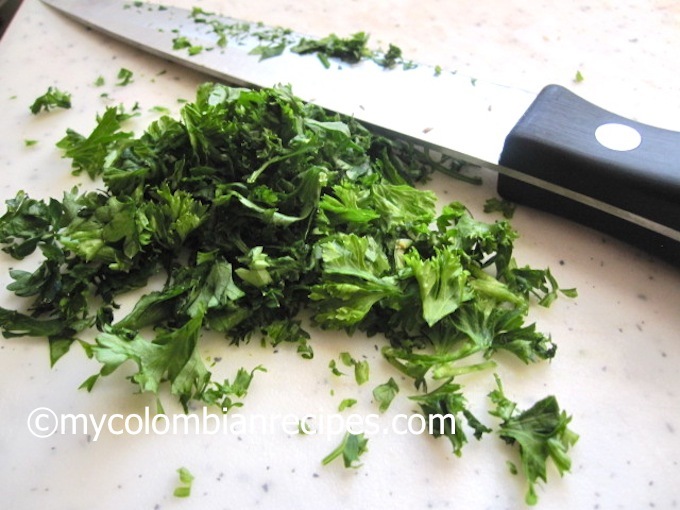 Add the melted butter, salt and parsley. Mix carefully and serve warm. These are so simple indeed and different for me. I have never steamed potatoes before. Will have to make this as a side dish soon. Simple but excellent dish, Erica! The best thing is that it is so flexible and co go with so many things. 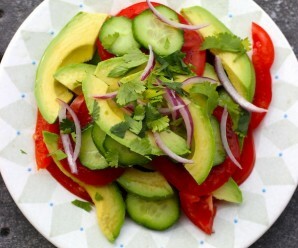 So simple and yet so tasty…perfect as side for any meal. A simple side dish which can be easily prepared~ that’s what I like:D Bet taste good too especially served with a gravy dish! A simple and perfect side dish, Erica. My parents in law will love this!